Introducing a new India Red Ale 6 pack! September 29th, 2014: Scared of clowns? Us too, but it’s time to face our fears. 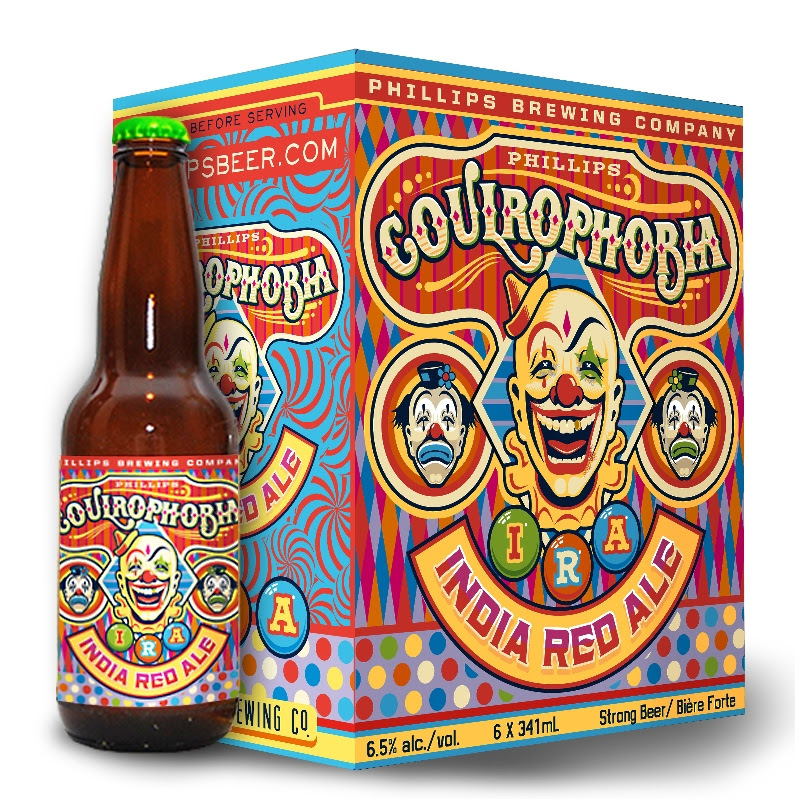 Coulrophobia is a brand new India Red Ale that juggles fresh pine bitterness with hints of citrus fruit. Pouring deep reddish-copper colour with a marshmallow white head, its fresh, full aroma may just change your mind about big noses. Delicately balanced with a hearty malt base, you’ll smile at the amount of body we squeezed into this flavour vehicle; no creepy face paint required. Coulrophobia IRA is available now from private craft-beer focused liquor stores. If you would like to try Coulrophobia on draft, join us at the brewery on Wednesday October 1st from 4-6 for a free tasting. No tricks, just finely crafted beer.